These days, most people throw their receipts in the trash -- or decline to even have one printed at all. With checkbooks being phased out and digital budgeting becoming the norm, there's just no reason to keep the paper receipts from your everyday purchases. But if you have an HSA, keeping your receipts is still important. 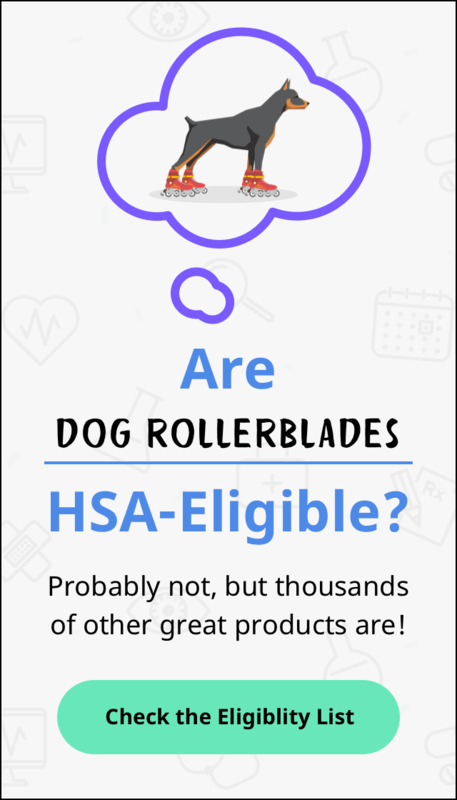 You'll need to use them when you reimburse yourself for out-of-pocket purchases, or when the IRS wants to verify that you've only used your HSA for eligible items and services. Since this column is focused on saving and planning for a healthier future, we felt it would be helpful to share our favorite setups for storing, organizing and sharing your HSA receipts. Pros: Google Drive is easy and free to set up. All you need is a Google email address. It comes with 15 GB (a lot of receipts) of free storage, and you can pay a nominal fee to upgrade -- currently $1.99 a month for 100 GB (a lot more receipts). Android phone users can also use Drive for Android, which turns mobile pictures into PDF files for your Drive account. Cons: Google Drive may be easily accessible, but if you don't set up proper precautions your information could be vulnerable. Pros: If you don't have a Gmail account (and don't want to set one up), a Dropbox account is probably your best bet for cloud storage. Like Google Drive, Dropbox is a free storage platform that's easy to use and accessible on a variety of devices. You can also share your Dropbox documents with anyone, so your spouse or accountant can easily view your HSA receipts. Cons: Dropbox's service is free for the first 2 GB and $9.99 a month for 1 TB (more receipts than your local pharmacy could print in a lifetime). That's considerably less space than Google Drive, so you could run out of room if you're using your Dropbox for other files. Pros: Some HSA providers have their own receipt storage, allowing you to upload receipts for reimbursement. You may already have to provide proof to your HSA provider if you use out-of-pocket money to reimburse yourself from your HSA, so this option requires the least extra work. Cons: Every HSA provider is different, and it's hard to say if their storage is more secure than a huge company like Google or Dropbox. It's also not clear how long they'll keep the receipts on file. If you switch HSA providers, you'll have to find a way to move them, which might involve downloading and then uploading them to your new provider. Pros: Storing your HSA receipts on your laptop or computer is easier and cheaper than keeping them on the cloud. You can reach them easily and don't need a password. Cons: Storing vital data on your computer is like playing a game of chicken. If you don't backup your information and your computer dies, you'll lose access to your receipts. Plus, you can only view those receipts if you're at the computer. In general, keeping receipts on your computer is only a good idea if you backup the data regularly. Even then, it doesn't beat the reliability of the cloud. Whether it's for covering medical expenses, or planning bigger investments, our Future Healthy column will help support your path to retirement, no matter where you are on the journey. And for the latest info about your health and financial wellness, be sure to check out our HSA Learning Center, and follow us on Facebook and Twitter.